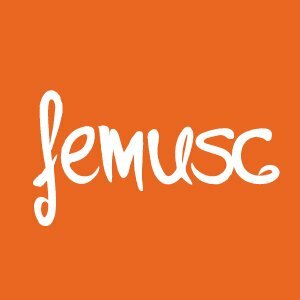 The FEMUSC program has attractions for all ages and tastes, with more than 40 free concerts at the SCAR Cultural Center and presentations at hospitals, factories, malls and in the region’s cities. In 2019, with the aim of offering a new way for the population to also help in making the festival viable, two concerts will have tickets sold. The public will be able to purchase tickets in advance and with seats marked for the Gala Concert on January 31 and for the opera on February 1, both at 8:30 p.m. At the cost of R $ 20 (whole) and R $ 10 (a half), tickets are available, from the 18th, at the SCAR Cultural Center secretariat (from 8 am to 8 pm) or at www.ticketcenter.com.br. All other presentations remain free. Tickets can be taken in the same place, always 48 hours before each show. Tickets for the opening, on 24/1, are being distributed on 22/1 and so on. The highlights of the festival are the series focused on the theaters of the Cultural Center with Great Concerts, Piano Masters, Springmann Momentum (chamber music) and the Musicalmente Falando – an informal lecture that precedes the concerts and guides viewers with reports on the authors and parts that will be executed at night. There are also several alternative events in the community and in municipalities of Santa Catarina, allowing the public to be closer to erudite music. General information about the event, the list of teaching programs, series to be presented and the teacher’s degree are available on the event’s official website and at (47) 3373-8652 and (47) 3275-2477.